Manmade wonders: Our planet is truly blessed with an abundance of breathtaking landforms. Some are so beautiful that it is difficult to believe that they’re actually man made. A man had created wonders right from ancient time through his unique power of creativity. 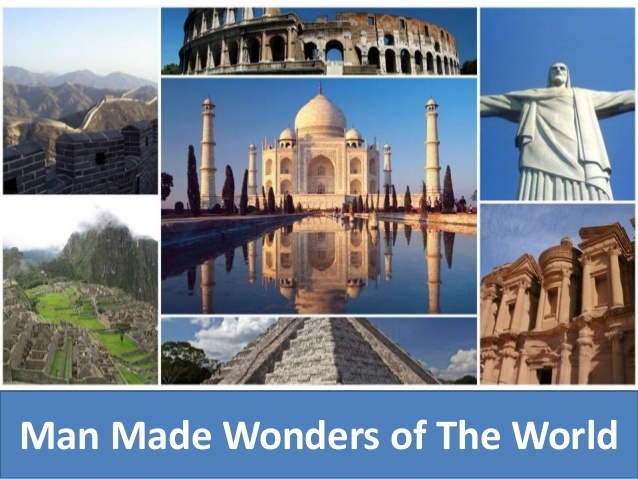 When you look around the world one can see many manmade wonders. Easter Island is world’s most isolated inhabited island located in north of pacific region of Chile. The island of Chile is one of the most important archaeological sites of the world because of its barren land. Mois is an ancient sculptures is a famous the important attraction in this island. The volcanoes also became key attraction of this site but still it is least visited by the tourists. Longsheng Rice Terrace, China is also known as the Dragon’s Backbone. This stunning terraced rice field resembles the scales on a dragon’s back. The entire mountain range looks like the backbone of the dragon. The Longsheng Rice Terrace is built along the slope starting from the river to the mountaintop. It ranges between 600 meters to 800 meters above sea level. Huacachina Oasis, Ica, Peru: how can an oasis exist in a middle of the driest place on earth? These questions have arisen in many minds but no one has been able to answer it. The villages are surrounded on all sides by sand dunes around a small oasis. The magical village is part of almost every adventurer’s bucket list. Taj Mahal is a symbolic monument listed in Worlds Wonders list repeatedly. This marvelous monument was constructed completely using white marbles. Taj Mahal was built by Mogul Emperor Shah Jahan in the loving memory of his wife Mumtaz. To complete this beautiful monument it took 22 years. It is now listed as a World Heritage site. Fly Geyser USA is located on a private land in the middle of the Nevada desert. Fly Geyser is not a natural landform, but a man made landform. It was accidently created in 1964 as the result of a test drill for water. The colours of the mounds are red and green which comes from thermophilic algae. The water is constantly releasing reaching a height of 5 feet in the air. Abraham lake, Canada: the lake is popular with hikers and photographers keen to capture the frozen patterns that form under the surface. These jewel like bubbles are actually pockets of methane. They form when dead leaves and animals sink to the bottom and are consumed by bacteria which then excrete the gases. Saturnia Toscana, Italy: these aquamarine hot springs are striking from a bird’s eye view but they offer more than just beauty. The thermal waters offer a ton of health benefits, so while you’re not sipping the wine of the region and feasting on spaghetti you can come and enjoy this hotspirngs. Nature failed to provide a public access beach at Larvotto, so man put his full efforts to build the beach and the mega luxury resorts. Larvotto Beach is Monaco’s only public beach. The madding crowds flock to this pebbly sand just for the privilege of breathing the Monte Carlo air. In the back of the beach are restaurants and bars many of which are open all year round. Streets beach is the man-made beach found in the south bank of parklands. It is the former site of Brisbane 1988 world Expo. The street beach boasts of a sparkling lagoon surrounded by white sandy beaches and sub-tropical plants. This water in this beach is regularly recycled and the sand is meticulously tended to keep it pristine. The Sphinx: Long held as one of the greatest wonders of the world. The Sphinx is made up of stone built by the ancient Egyptians thousands of years ago. The Sphinx belongs in this list because of the fact that besides the pyramids, it is one of the oldest structures created by humanity. It has earned its recognition as one of the greatest monuments ever built. These manmade wonders proved that the people with creativity and an artistic mind are capable for creating unbelievable formation on the planets.